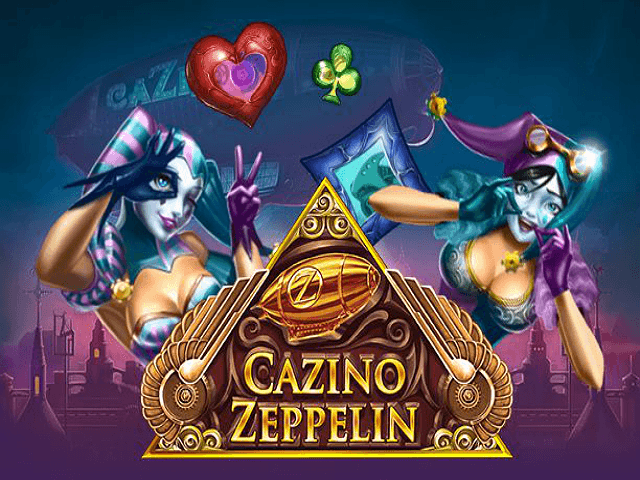 The Cazino Zeppelin online slot is a steampunk themed game that takes place on a 1930s airship. 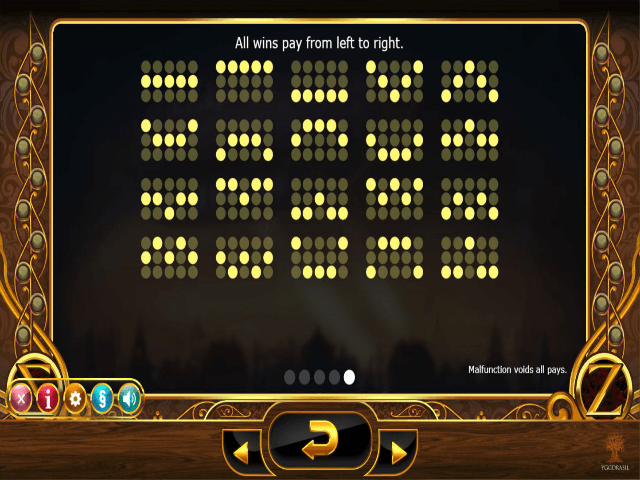 Cazino Zeppelin software provider Yggdrasil casts an eccentric ensemble of gamblers as its main symbols in this 5-reel, 20-payline slot machine. So get ready to release the anchor line and set sail into the skies with Cazino Zeppelin. Read on for our full review, plus helpful hints and tips! World-renowned Scandinavian software provider Yggdrasil has tapped into the increasingly popular world of steampunk to create Cazino Zeppelin. 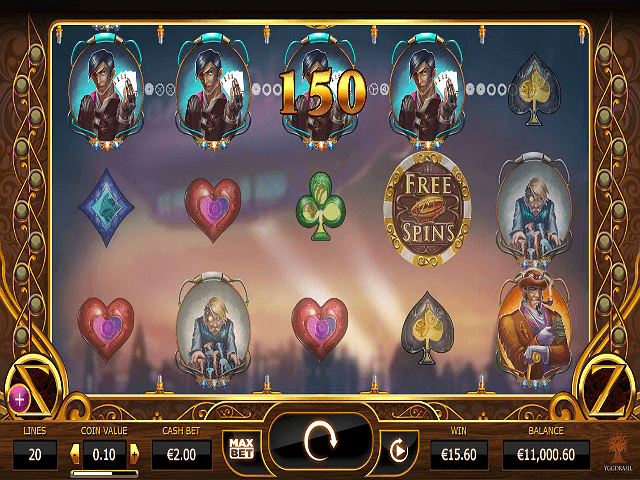 The design of the game effortlessly blends the grandeur of The Great Gatsby with Victorian futurism, creating an eccentric cast of characters for this video slot. Join them aboard a magnificent travelling airship to enter a high stakes game, a cinematic orchestral score undercutting the action as you spin the reels and hope to land the big fish. It's stunning design and creative features see the Cazino Zeppelin's return-to-player (RTP) rate resting at an outstanding 96%. 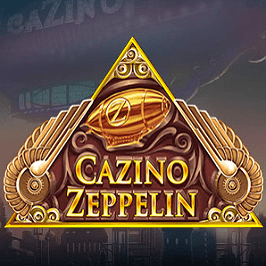 Prepare to make more than one trip on the Zeppelin that's arrived at your favourite casinos! The Casino Zeppelin slot game features standard card symbols like hearts, clubs, diamonds, and spades: all beautifully rendered in 3D. The colour of these determines how much each symbol is worth, starting with green club at the lowest value. This pays out a maximum of 100 times your bet if you land five across a pay line. Next, the blue diamond pays out 125 times, the red heart 150 times, and lastly, the gold and black spade offers 170 times the original wager for a full pay line. Remember that higher paying icons are all rival gamblers. The monocle-clad man in blue pays 500 times the initial bet if you land him on all five reels of a pay line. A step up is the suave eye-patch wearing gambler clutching his cards, who pays a maximum 750 times the bet. The red-headed man dressed in green and throwing dice can net you a neat 1000 times the original wager. The biggest fish, however, is the man with red coat and smoking pipe. This lucky icon could win you 2000 times the original bet if he appears on every reel of the pay line. Also keep an eye out for the Free Spins bonus round, which can be reached by landing several of the free spins coin symbol (these are marked with the Casino Zeppelin in its centre). You must have three on the board to win 10 free spins, four to win 15 free spins, and five for 20 free spins. If you also manage to land a blue-haired wild symbol on each reel, you win an extra five free spins. In addition to these, 40 extra coins will be credited to your account when striking two or more free spin coin symbols. Wild symbols show the same blue-haired character in different poses, but they all achieve the same ends. Wilds can replace any symbol with the exception of the Free Spin coin symbol. Any wilds that appear during a free spin bonus round become sticky wilds for the entire bonus round. 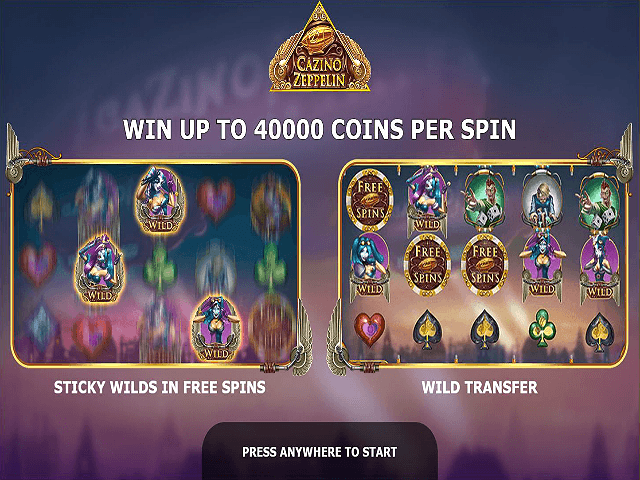 All in all, there will never be a dull moment in the exciting journey the Cazino Zeppelin video slot delivers! If you like Cazino Zeppelin - You'll like these slots too!